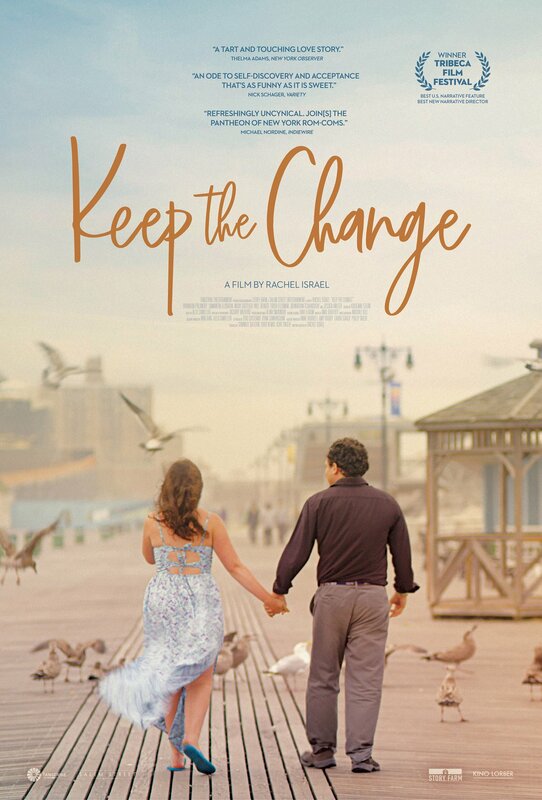 As it’s been a while since I’ve done one of these, this week I decided to check out the 2017 indie film ‘Keep the Change‘ a quirky rom-com about 2 autists who meet at a support group and fall in love. David is an aspiring film maker that has been required by court order to attend a support group (after an inappropriate joke get’s him into a spot of bother) wherein he meets the bubbly Sara, an enthusiastic singer with perfect pitch. After a rocky start, the two fall in love, their differences and families push them apart but ultimately they get back together again. What’s more, the story is based on Brandon Polansky’s (the actor that plays David) first serious relationship in real life, which sadly ended before filming. So what did I make of the film? Well, for the first time I won’t be complaining about the lack of accuracy in the portrayal of life with autism as the actors themselves are living the experience every day! Similarly, there are no savant stereotypes portrayed, just regular people navigating life on the spectrum. It’s refreshing to see a film keeping it real and true to the autistic experience (although that being said, some of the romantic interactions seemed to me to be more exaggerated and cringe worthy than I’d imagine the true story was!). However, as authentic and well researched as this film is, I personally found the film a little bit lackluster for my tastes. Moreover, I would have loved to see more diversity in the support group as we saw in the most recent series of ‘Atypical‘. We didn’t get much of a look a the different personality types, interests and traits of the supporting characters, so they all sorted of blended into one “happy-clappy” entity. As I’ve said before, it would be great to see more diversity in the portrayal of higher functioning autists. Yes, a lot of the characters we see on screen are high functioning, but these characters are still quite dependent on their families and each other to navigate the world. It would be nice one day to see the ‘lost generation’ of autists on screen- those of us who travel through life undiagnosed, undetected and struggling in silence. I had intended to write a different post this week, however, after watching the most recent episode of ABC’s acclaimed ‘The Good Doctor‘ (a TV show that follows a surgical resident with autism), I’d like to talk a little bit about making assumptions about an autist and their abilities. *Spoiler* In recent episodes, the new chief of surgery has made the decision to remove Shaun (aka the ‘Good Doctor’) from the surgical program following a minor social miscommunication with a patient, and place him in pathology, refusing point blank to get to know him or give him his job back. Naturally, this did not help Shaun’s mental state and need for routine, which ultimately led to the mother of all meltdowns and his subsequent firing from the hospital. Now it’s not often that I really feel a connection with Shaun (as we are very different in a lot of ways- no two autists are the same after all! ), but this episode got me right in the feels. Shaun’s predicament was one that I knew all too well. Shortly after my diagnosis I encountered a similar scenario in my career where assumptions were made about my abilities. Once the ‘A’ word was on the table, my employers opinion of me changed overnight, but alas, not to my benefit. Suddenly I found myself adrift in career limbo because someone jumped straight to the conclusion without stopping to discuss. This is something that we’re all guilty of, not just employers. We hear the word ‘autism’ and suddenly our brain paints a picture. We see traits that may not be there, we imagine difficulties that may not even exist, we make assumptions on a persons character, interests, idiosyncrasies etc. based on what we know of autism without first taking time to see the person in front of us. I’m worn out trying to tell people that no two autists are the same! Yes, there are similarities and common traits, but just because John hates to be touched, doesn’t mean that Mary automatically hates hugs. She may love them- but if the assumption is made you’ll never get to find out. We cannot make assumptions on an autists ability. We need to educate ourselves, get to know a person, take time to see the person beyond the diagnosis. What I need is different to what Shaun the ‘Good Doctor’ needs; who I am and what I can do are worlds apart from him. Shaun is a skilled surgeon that sometimes struggles with communication, I’m an outgoing sciencey-artsy type who never shuts up, yet most people on hearing the word ‘autism’ would tar us with the same brush.